Emotional eating, also known as stress eating, can be responsible for unhealthy weight gain in people of all different backgrounds and in all different situations. Put as simply as possible, emotional eating simply refers to eating food not because of hunger, but as a means of relaxation or dealing with a variety of emotions, from boredom, to worry, to frustration, to loneliness. Emotional or stress eating can be a particularly difficult issue to deal with; fortunately, keeping these principles in mind can help. For many people, much of the danger of emotional eating or stress eating stems from the fact that they are simply not aware that they are doing anything different from normal snacking. For that reason, your first step must simply be recognizing that you tend to overeat when you are dealing with some kind of emotional stress. This “emotional hunger” can be very sudden and powerful; can lead you to continue eating far more than you need to satisfy ordinary physical hunger; and often creates cravings for specific, unhealthy foods rather than the wholesome foods that will satisfy physical hunger. By leaving your favorite unhealthy snack easily accessible, you will be putting far more pressure on yourself than necessary to make the right decision the next time you find yourself dealing with a stressful situation and tempted to start working your way through that bag of potato chips on autopilot. Planning ahead before that stressful situation actually arises is far more effective. By preventing easy access to junk food, you will be reinforcing your willpower before you actually need it. Make sure you keep healthy snacks like fruits, vegetables, hummus and the like on hand so you have access to nutritious options when you are actually hungry, and not just stressed. Spend some time in honest self-evaluation to determine what factors tend to trigger bouts of emotional or stress eating. If the first step required you to identify the existence of the problem, this third step requires you to determine exactly what causes it. For example, your stress might be caused by conversations with a certain person, or a particular task you must complete. If possible, plan ahead of time to eliminate or minimize the stress these situations cause. Of course, it will not always be possible to avoid these stressful situations entirely; however, recognizing in advance their potential to lure you into bouts of emotional eating can help you avoid being blindsided by temptation. After all, once you know in advance about a potential emotional eating trigger, it will be easier to put yourself in control of the situation and decide how to respond to it, rather than automatically seeking food for comfort; simply put, you can decide not to be a helpless victim. In some cases, if the stress's cause is not clear, you may find that therapy or counseling can help you determine that cause, rather than simply the stress's symptoms -- like emotional eating. Once you have determined that one or more stresses are causing you to overeat unhealthy foods, you can start seeking a healthier means of dealing with the stress. Exercise – even a quick walk in the fresh air – can work wonders. You could also take up a new hobby, or start a funny TV show, or simply nap for a few minutes. Anything that will encourage the release of endorphins can help you deal with the stress you are facing. 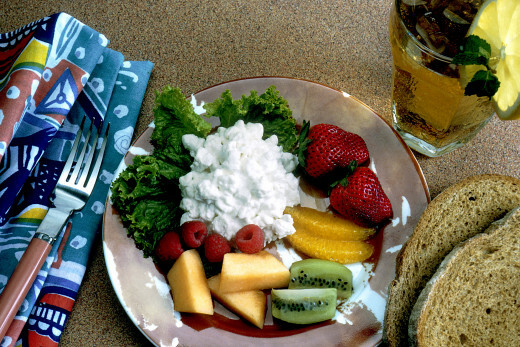 In many cases, you can satisfy cravings with healthier substitutions. For example, if you crave candy or cookies, try eating a couple of dried apricots or a similar sweet fruit. 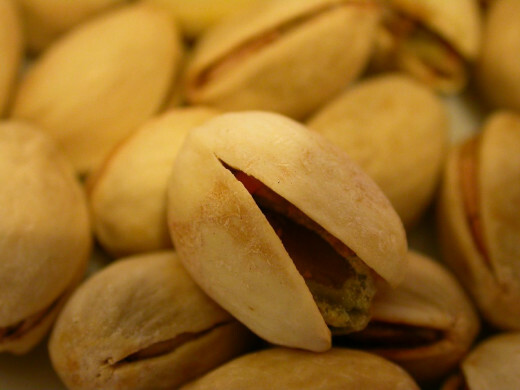 You can substitute pistachio nuts for chips, pretzels and other salty junk foods. If you crave soda, try drinking a flavored seltzer water, or if you crave ice cream, try eating a little frozen yogurt instead. If you find yourself struggling with the temptation to stress eat unhealthy foods and substituting a healthy option or other activity is not working, try making a plan to eat whatever food you are considering later that day. The delay will make it easier to exercise your willpower, since the craving will often pass. If and when you do decide to eat, put a few bites in a separate dish, rather than grabbing the entire bag, box or carton. That small amount will not be as bad for you as the whole container, and will often help eliminate the craving. Some people also find that eating with their non-dominant hand forces them to slow down and eat less when they do indulge this type of craving. In addition, be careful not to eat while watching TV or browsing the internet since the distraction will often prevent you from noticing how much you eat. Stess eating or emotional eating can be an extraordinarily difficult challenge to overcome, and beating it will not take place overnight. Recognize that you are in for an ongoing journey of gradual progress, and reward yourself for the small steps along the way. For example, you could buy yourself a new phone after a month of no binge eating, or you could treat yourself to a weekend at the beach after six months. These small goals can be far less overwhelming than the big goal of eliminating stress eating entirely. Even if you slip up occasionally, keep working; in the long run, the results will be well worth the effort. 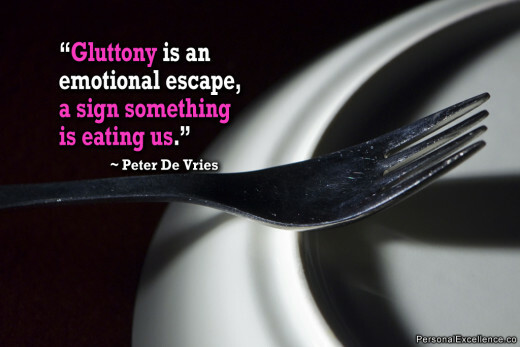 What do you find to be the most common cause of emotional eating? What is your advice for dealing with emotional eating and stress eating? Excellent hub! Good information presented in a tidy manner. Thank you. I have had an eating disorder for a very long time- and it mostly gets worse with stress at this point. Very nice write up. because she was stressed. However, she's been retired now for 25 years -- living alone with no responsibilities -- and she still overeats. Many of us think we need a lot more food than we really do. Our portions are out of whack. Exercise is great for taking your mind off the food and stress while being proactive. I find looking for alternatives is a great way to escape that dreaded sweet tooth although not having junk in the house at all is even better. Great hub. Yes, healthy food, healthy thinking and balanced lifestyle go hand in hand. Perhaps it's all about balanced and harmonious living. In our family, we have found that substituting junk snack foods with more healthy alternatives has been a great help. Having such things as grapes, carrot and celery sticks, and apples on hand satisfies the immediate craving. 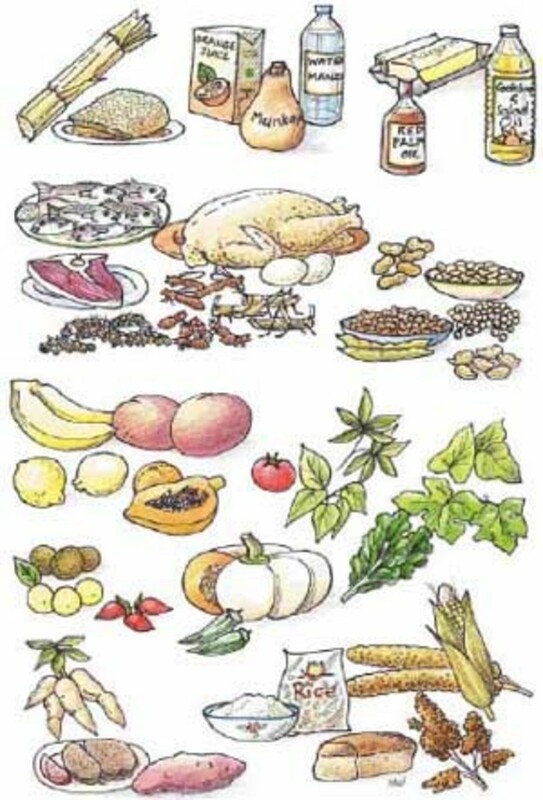 It also enables weight stabilization and better health overall. When under stress the mind spins harder and in circles. It disconnects you from reality - your mind is not there where your body is. In brief, you are disconnected from the Present moment. 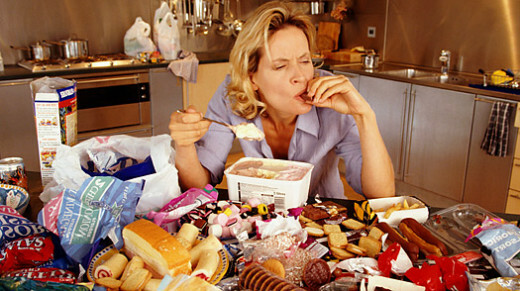 We all avoid facing the unpleasant; this escapism leads to various disorders including emotional eating. It helps to come back "alive where you are." Deep and heavy breathing is one tool to come alive in the "present". Regular training is mindfulness helps greatly in the long run. In simple terms, it means training to be watchful (alert) in the present moment as continuously as possible.